PAUL BILODEAU/Staff photoThe city is poised to seek $650,000 to carry out extensive repairs to the Visitors Welcoming Center at Stage Fort Park. 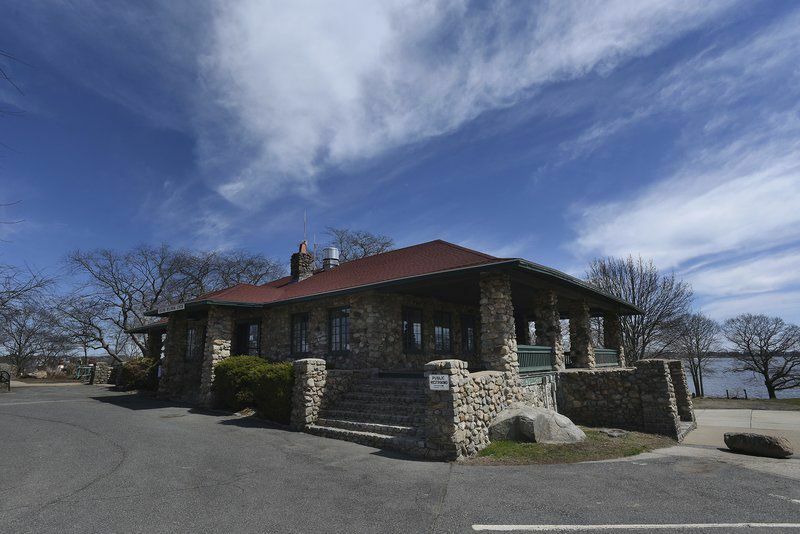 PAUL BILODEAU/Staff photoThe Visitors Center at Stage Fort Park needs repair and the city is poised to seek $650,000 to carry out the work. The city is looking at borrowing up to $650,000 to make over the Stage Fort Park's Visitors Welcoming Center. The center's signature 1,950-square-foot porch is especially in need of shoring up, and the roof overhangs are "sagging" more every year, according to Newburyport-based Dore & Whittier, the city's regular architect. For the proposed project, Dore & Whittier recommend razing and reconstructing the porch, replacing interior beams, making more than $120,000 in repairs to the roof, and making accessibility improvements for the structure. 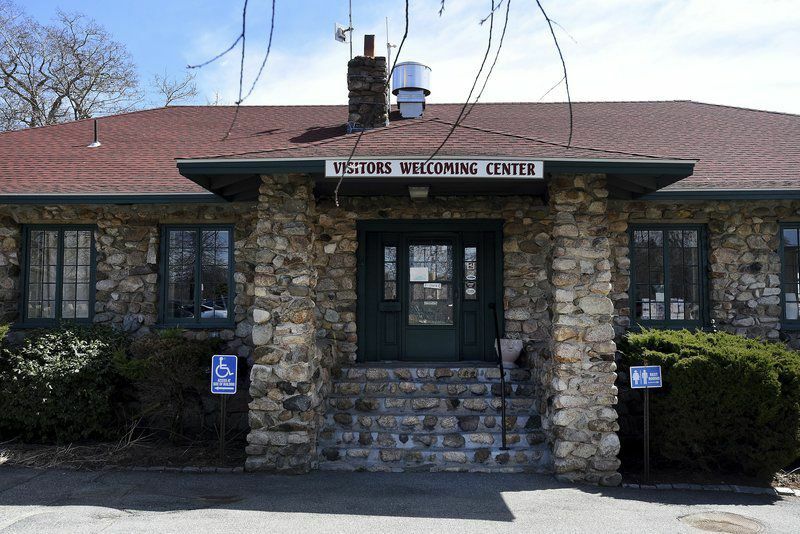 Mayor Sefatia Romeo Theken said repairing the visitors center is a high priority as the new tourism season nears — and especially as the city's 400-year anniversary in 2023 inches closer. "First, this is our main visitors center," the mayor said. It is run by the city and staffed by one full-time city worker and a corps of volunteers. "When people come in to visit Gloucester, this is where we direct them (by highway signage). This is the first place many of them come," the mayor continued. "What kind of message would it send if we just left it as it is? That we don't care about it? That maybe we don't care about our city? Nothing could be further from the truth. "The visitors center is also a part of our history and heritage," she added, recalling the bygone days when the building served as a concession stand for Stage Fort Park's beaches. The building dates to 1925, city records show. "What we have there speaks for Gloucester itself," Romeo Theken said. "It tells people about what to see and the wonderful history behind it. That's important, and it's why we need to keep it up. When people walk in there, they're not just in a visitors center. They're walking into a place that's very welcoming, like in a family — and they are. The volunteers that work there teach people a lot about Gloucester, and they make it very welcoming. Gloucester as a whole is very welcoming, and we want to welcome our visitors through (a visitors center) that let's them know this is a special place." The City Council has backed a request from Public Works Director Mike Hale and Chief Financial Officer John Dunn for a loan authorization to finance the visitors center repairs. On Tuesday, the council forwarded the loan request to its own Budget and Finance Subcommittee. The project joins a series of projects — including water system improvements and a $1.6 million rehabilitation of the floor of Gloucester High School's Benjamin Smith Field House — on the city's list of loan authorizations over the past year. Besides the Stage Fort Park center, the city also has a few satellite visitor information kiosks, while the Cape Ann Chamber of Commerce operates its own visitor center from its headquarters on Commercial Street. The plans to improve the Stage Fort Park center come more than two years after the city won but ultimately turned down $250,000 in National Park Service and state grant dollars for a much more ambitious Stage Fort Park project. The money was to be used to subsidize development of an "events terrace" for the various festivals and the Cape Ann Farmers Market that are held each summer within the park, a "gateway" raising the profile of Tablet Rock, and a hiking and cycling trail linking with Ravenswood Park, among other changes. That Stage Fort Park improvement proposal, also estimated to cost $600,000, would have been funded in part by the state and federal money, by $250,000 in matching city funds through the Community Preservation Act, and a $100,000 Community Development Block Grant, which comes from federal funds distributed by the state. But Hale found that accepting the state and federal dollars would have put access to the park and its beaches under scrutiny, essentially requiring the city to open all of Stage Fort's beach parking on a first-come, first-served basis. That would have ended a longstanding city policy that gives preference to city residents with beach stickers when parking at Stage Fort becomes tight. So the city turned down the $250,000, awarded in December 2016, to keep the park under local control. "This is different," Romeo Theken emphasized. "This is all about the visitors center, and how we want it to look when we welcome people to our city." Ray Lamont can be reached at 978-675-2705, or rlamont@gloucestertimes.com.